Virginia (16-0) is off to its best start since the 1980-81 season when that team led by legendary center Ralph Sampson started 23-0. UVa has started 4-0 in ACC play for the first time since 1994-95 and seeks its first 5-0 start since 1980-81. UVa ranks first in the nation in scoring defense at 50.6 points per game. The Cavaliers are 5-0 in true road games for the first time since 1990-91 and seek their first 6-0 start since 1980-81. The Cavaliers have won 12 of their 16 games by 11 or more points. UVa is ranked No. 2 for the first time since March 8, 1983. The Virginia-Boston College game will be televised on the Regional Sports Network (locally on Comcast SportsNet Atlantic) and streamed online at ESPN3.com. Virginia: Tony Bennett (Green Bay, 1992), 122-60 in six seasons at UVa and 191-93 in nine seasons overall. 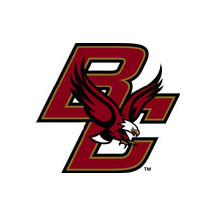 Boston College: Jim Christian (Rhode Island, 1988), 8-7 in his first season at Boston College and 251-160 in 13 seasons overall. Virginia has delivered three of the 10 home losses by teams currently ranked in the top 17 of this week’s AP poll (Notre Dame, Maryland, VCU). Virginia is 10-7 all-time vs. Boston College, including a 7-7 ACC mark, in the series that dates back to 1971-72. The Cavaliers posted a 77-67 win over the Eagles last season in Charlottesville, and have won three of the last four games in the series. Virginia is 1-4 vs. Boston College in Chestnut Hill, posting its lone road win in the series in 2008. Head coach Tony Bennett is 4-4 all-time against Boston College. Malcolm Brogdon had 16 points and Justin Anderson added 15 to lead Virginia to a 65-42 win over Clemson on Tuesday, Jan. 13. The Cavaliers led Clemson 25-19 at the half and used a 29-6 run to start the second stanza to stay unbeaten at 16-0. Virginia shot 50 percent from the field for the first time in ACC play and held Clemson to 35.7 percent. Darion Atkins added six points and a team-high six rebounds, and Isaiah Wilkins provided another spark off the bench with five points and his first career 3-pointer. Virginia was outrebounded for the third time in four league games, but committed only four turnovers in its 20th-straight home win. Malcolm Brogdon had 17 points and a career-high 11 rebounds for his first career double-double in Virginia’s 77-67 win over Boston College on Feb. 5, 2014. Brogdon added a career-best seven assists and converted 4-of-4 free throws in the final minute to ice the win. The Cavaliers built a 21-point second half lead, but Boston College closed with a 17-4 run. Anthony Gill and Justin Anderson added 13 points each for Virginia, while Ryan Anderson had a game-high 20 points for Boston College. The Cavaliers owned a 40-27 rebounding advantage. Virginia hosts Georgia Tech on Thursday, Jan. 22. Tipoff at John Paul Jones Arena is set for 8 p.m. The game will be televised on the ACC Network.